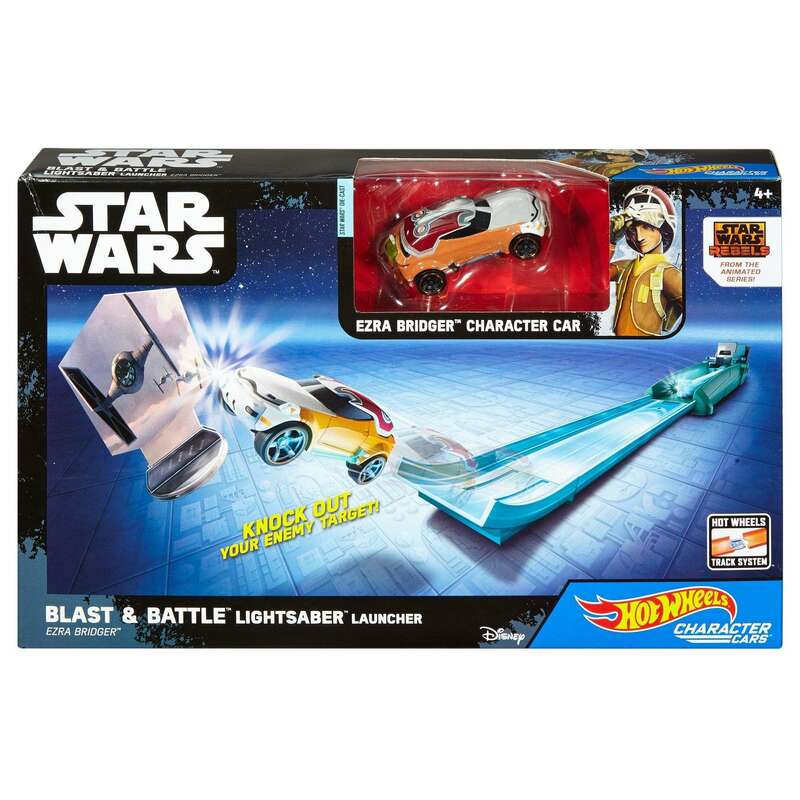 Walmart has debuted a brand new Rogue One (Star Wars Rebels) Hot Wheels themed item: a Blast & Battle lightsaber launcher set! This set costs $22.22 and shipping is free. As of this writing there’s only one of these Hot Wheels sets left in stock so order soon. Two of the most iconic brands in adventure – Hot Wheels and Star Wars – have formed an alliance! Kids and collectors alike will love re-creating favorite scenes inspired by the Star Wars universe with this Character Car Launcher. Send your Star Wars Character Car into hyperdrive down the Lightsaber track towards its target! 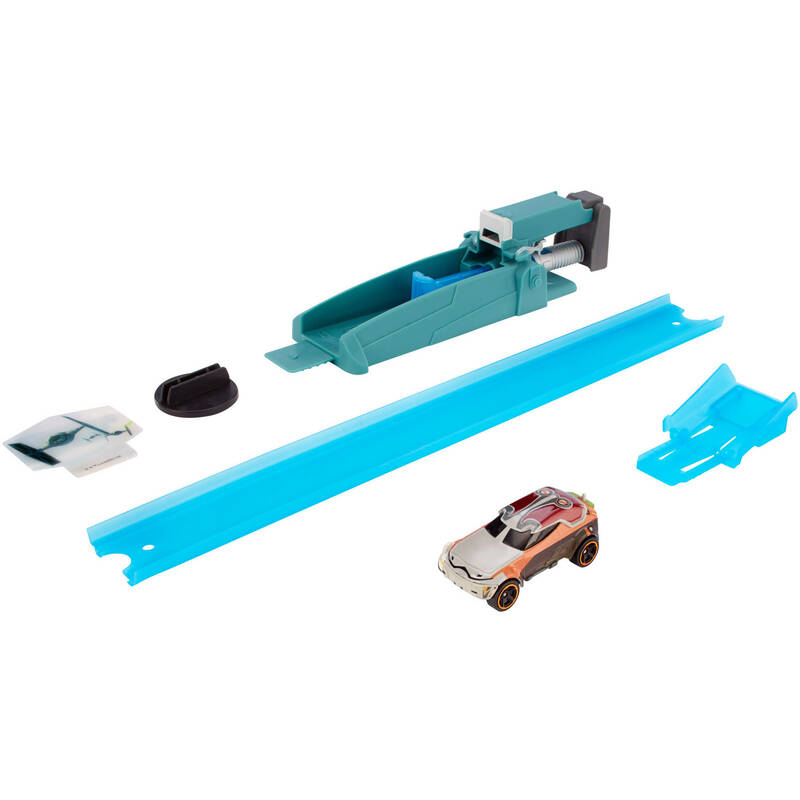 Kids will love re-creating epic battles with this Hot Wheels launcher that really blasts their vehicles into space! Each sold separately. Not for use with some Hot Wheels sets. Colors and decorations may vary. 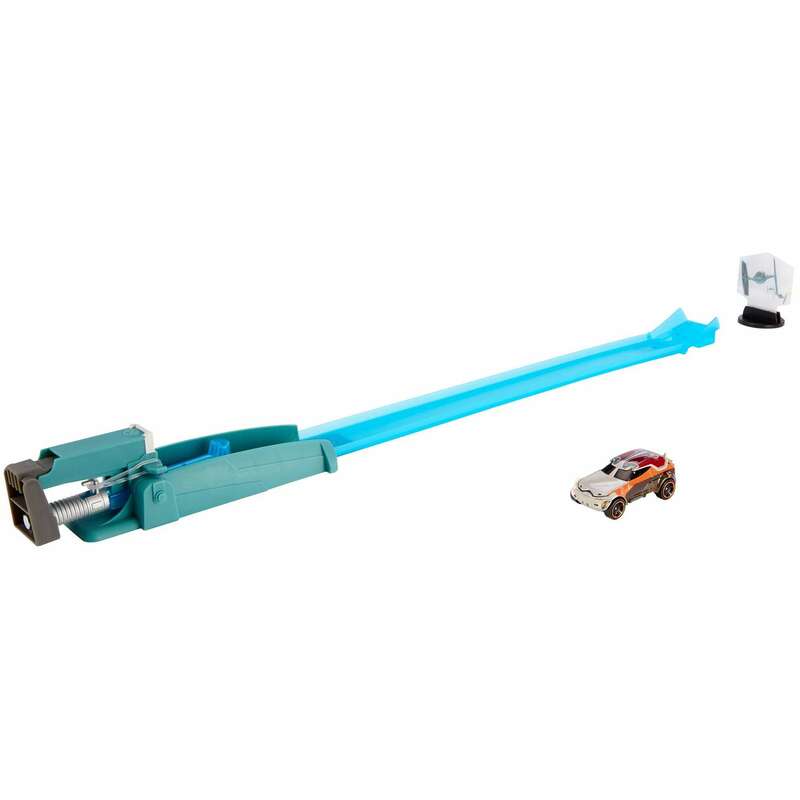 Kids will love re-creating epic battles with this Hot Wheels launcher that really blasts their vehicles into space! 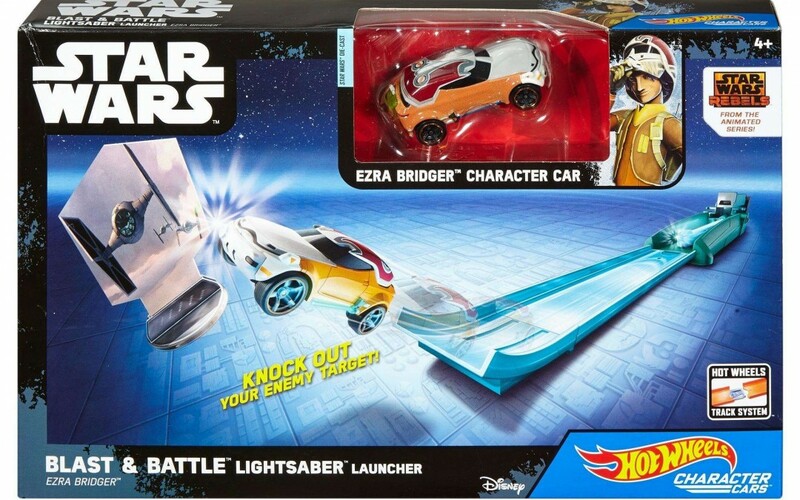 Four featured Character Cars, each sold separately that include Kylo Ren, Ezra Bridger, Luke Skywalker, Darth Vader and more.